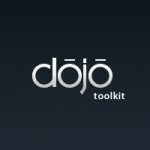 I’ve been working with Dojo Toolkit for the past few months and I have started to like it actually. It is a full featured stack that includes core DOM manipulation, selectors, widgets, unit testing framework, build scripts, charting etc all combined into one big library. I just think it is not as widely as it should be. Anyways, coming to the point of this post, I wanted to write a Singleton Class using Dojo’s declare. There is apparently a very interesting thread on Stackoverflow here on this very subject. Some might argue that a Singleton pattern must have a getInstance() method and actually one of the solutions in the SO thread above does do exactly that too. Would love to hear what people think about this and if anyone’s got a better implementation of this? Nice and simple and works well. Thanks… This approach in now in my app.